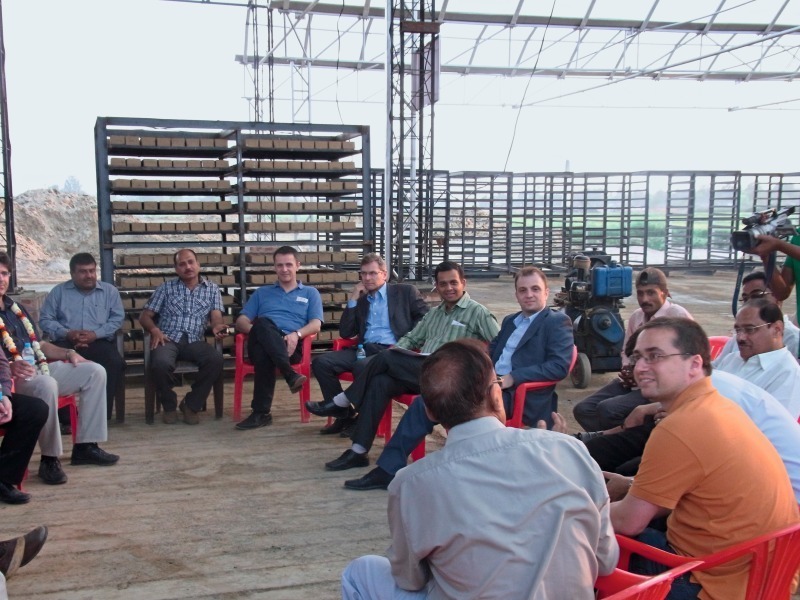 During a four-day roadshow, company representatives from five European countries presented energy-efficient technologies for the clay brick and tile industry in India. 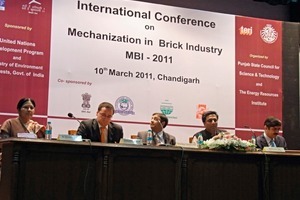 More than 700 brickmakers attended the two conferences “Mechanization in the Brick Industry” on 10 March in Chandigarh and on 12 March in Varanesi. The delegation trip had been organized by the European Ceramic Technology Suppliers’ Working Group (ECTS) in the VDMA. The group had been invited by the Indian conference organizers, The Energy and Resources Institute (TERI), the “Punjab State Council for Science and Technology” and the “Brick Fraternity of Uttar Pradesh”. 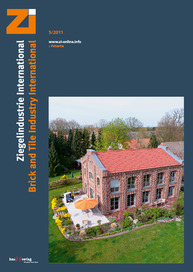 Aim of the European manufacturers was to acquaint representatives from the Indian heavy clay sector with modern technologies that can facilitate lower cost, faster, and more environmentally friendly manufacture of bricks with improved quality. Besides the presentations at the two conferences, the programme included a meeting with high-profile representatives of TERI. TERI is a foundation of the Tata family and serves several sectors of Indian industry and society as a whole. 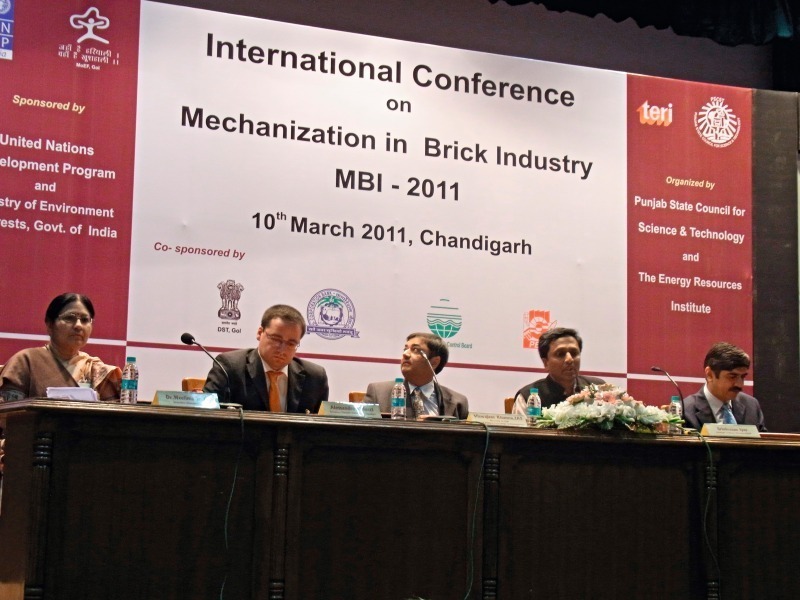 For more than fifteen years, it has also been active for the clay brick and tile industry, organizing awareness programmes to promote energy-efficient production and establishing training centres in different regions of India. ECTS and TERI agreed on closer co-­operation. 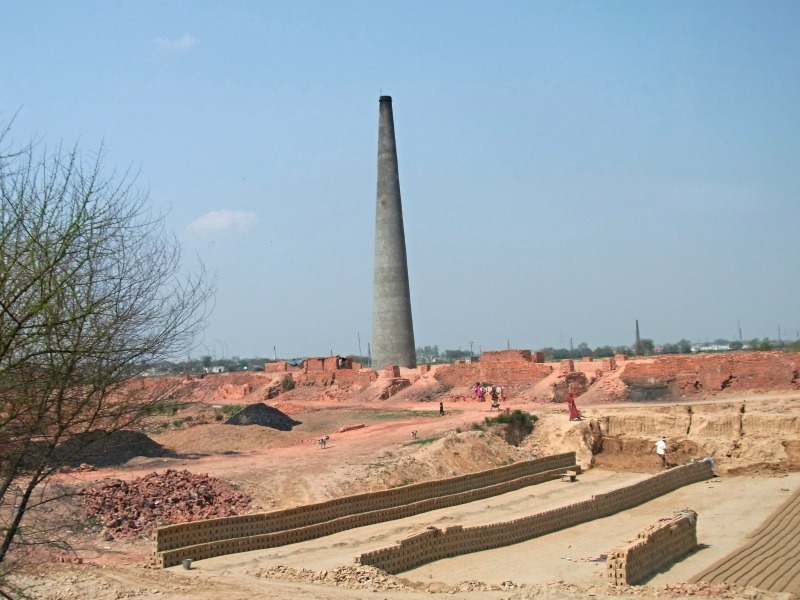 As the Indian brick industry is just starting with modernization, there is great potential for the future here. During the two conferences, representatives from Bangladesh, Nepal and Vietnam also sought information from the European manufacturers. 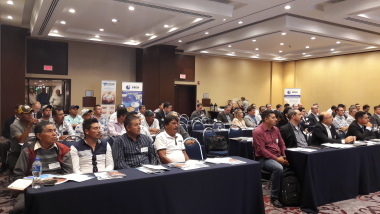 In their countries they are working within the framework of a United Nations programme intended to improve industry and public awareness of energy efficiency in emerging industrial nations. The ECTS deflates came from Belgium, Germany, Greece, the Netherlands and Spain. Their feedback on this ECTS group activity was extremely positive. 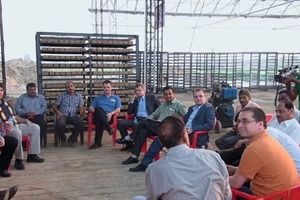 The delegation also visited several leading Indian brickworks. From these visits it became clear that some local manufacturers are ready to make some major investments. Some had established their own power generating plants so as not to have to rely on the sometimes unstable public power supply. 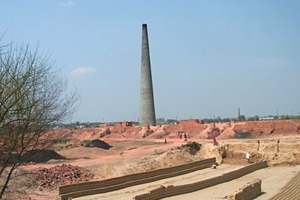 From larger brickworks, the word was that investment in modern equipment pays off. The manufacturers have confidence in the market and believe that customers will be prepared to pay higher prices for better quality in future too.